Beyond the oak mullion windows, flagged stone floors and open fires of The Long House, the fells pan away to an endless green horizon. Inside, the logs crackle and the conversation fizzes. Call up a chef, pop a cork and toast the unique Lakeland atmosphere of muddy boots, warming drinks and wide smiles. 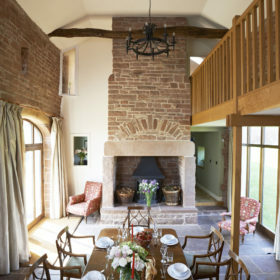 The Long House is all oak mullion windows, flagged stone floors and open fires. 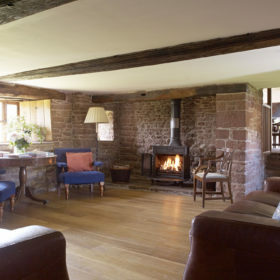 It’s as authentic as the Eden Valley fells it sits upon and as beautifully reconstructed as you’ll feel after a stay beneath its old ship-timber oak beams. Recently renovated, The Long House is now habitable for the first time since 1764. But it’s more than habitable. The galleried dining room’s massive stone fireplace awaits the crackle of burning logs and the fizz of good conversation. The huge breakfasting kitchen with four-oven Aga is fit for a king: cook up a storm yourself or just call up a chef. 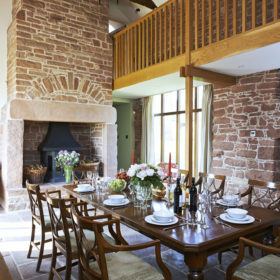 Fling open the dining-room doors and spill out onto the terrace for drinks and dinner in the pure Lakeland air. A barbecue awaits your steaks. 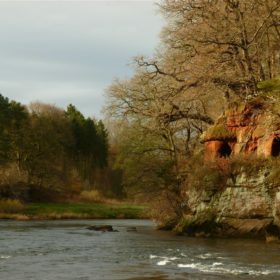 Beyond the rustic sandstone walls, the fells pan away in an endless sea of green. If the clouds part, there’s a large-screen TV for movies, iPod dock for music and open fires for musings. At night, the loudest sound might be the hoot of an owl. 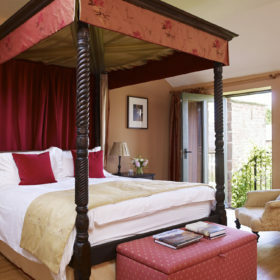 You’ll sleep the sleep of the righteous in The Long House’s double bedrooms, four-poster master bedroom suite, or carved antique bed in the Addingham Room. Then wake, stretch and do it all again. Walk long or short. 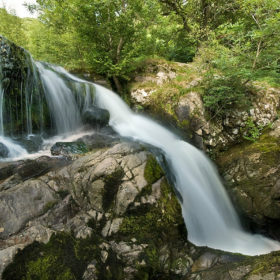 See the gushing waters of Aira Force or the stone circles of Long Meg and Her Daughters. 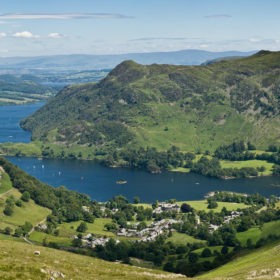 Explore Lacey’s Caves, steam across Ullswater, climb up to Aira Force and Gowbarrow Fell, then finish in the tea shop. 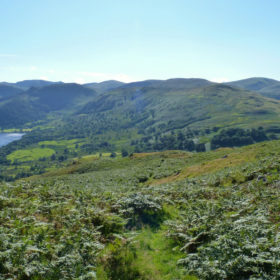 Go Ape at Whinlatter and go crazy for Grasmere gingerbread.